As I mentioned in a previous post, it can be difficult to start a quality improvement project when there are so many tools to choose from. However, it can be even harder to start your entire Lean Six Sigma initiative when you have several (maybe even hundreds!) of opportunities for quality improvement staring at you. As our friend Omar pointed out in the comments, completing a project prioritization matrix is a good place to start when you need to choose which projects to focus on. What is a project prioritization matrix? A project prioritization matrix can help you logically select optimal improvement projects by plotting potential projects against their weighted value, based on your company’s predefined metrics. The matrix will help you determine which projects offer the most value for your effort. If you’re already familiar with the C&E matrix—think of the project prioritization matrix as a C&E matrix of potential projects versus weighted project values based on company metrics you want to influence. benefits and ease of completion? • What is the effect on project priorities due to a change in the weighting of company metrics? 1. 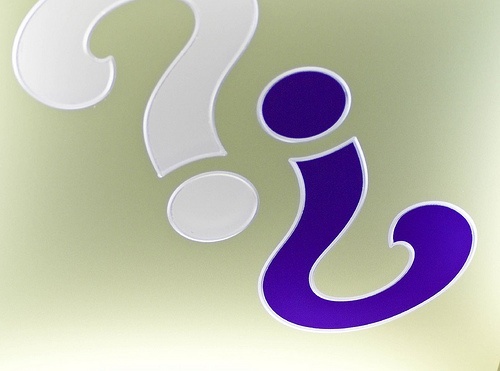 Develop a list of selection criteria you want to improve. For example, if you’re a sports bar owner, your criteria for valuable projects might include food and/or service quality. 2. Apply a weighting factor to the criteria, which is typically made on a 1 to 10 scale. It’s most common for the criteria to be labeled with 1 being a negative effect and 10 a positive effect. 3. Develop a list of the potential projects and determine the score for each project relative to the selection criteria. Again, using a 1 to 10 scale is usually the easiest way to go. 4. Figure each project’s weighted value by taking the sum of each project score multiplied by the weight of the selection criteria. 5. Assign an ease-of-completion (EOC) value for each project (1 to 10 scale) to help you estimate how easy it is to successfully complete a project. This matrix was completed using the template in Companion by Minitab. Companion’s project prioritization matrix template makes it easy to see which projects will provide the most value for the least effort—which is essential knowledge for anyone starting a Lean Six Sigma initiative. The matrix can also help you stay organized and on top of project currently in queue for completion. 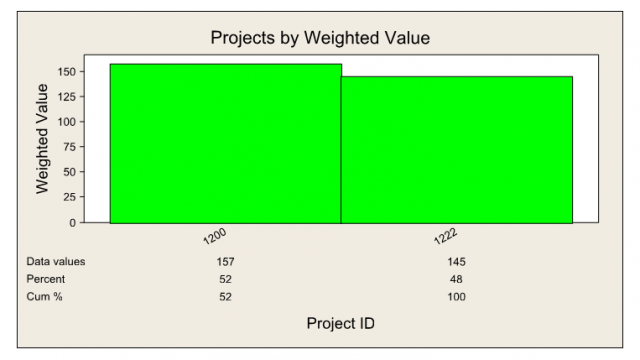 If you’re using Companion to complete your project matrix, the software automatically produces several graphs, including an ease of completion versus weighted value by project graph (shown above). Companion also makes it easy to continually update your matrix and accompanying graphs with new potential projects and changes to the weight of project values. Have you used a project prioritization matrix to help start your Lean Six Sigma initiative?